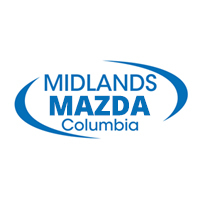 If you’re searching for a pre-owned Mazda vehicle in Columbia, rely on the wide inventory available at Midlands Mazda. We have a variety of pre-owned Mazda options, from the Mazda CX-5 to the Mazda6. Even if you’re looking for another make, we have a rotating roster of other options including the Mazda CX-3, Mazda3, and more. Contact us to learn more about our current inventory or set up a test drive. 30/41 City/Highway MPG Liquid Silver Metallic 2015 Mazda Mazda3 i SV In order to offer the EXTREMELY LOW prices seen on this website we are very small staffed and work off of appointments. Please call or text (803) 917-1519 to schedule showing of a vehicle with an excellent sales consultant. Price indicated assumes eligibility - inclusion of one thousand dollar internet discount - reductions indicated in price, plus tax, tags and includes $589 closing fee. FWD 6-Speed Automatic SKYACTIV®-G 2.0L 4-Cylinder DOHC 16V Recent Arrival! Awards: * 2015 KBB.com 10 Tech-Savviest Cars Under $20,000 * 2015 KBB.com 10 Best Late-Model Used Cars Under $15,000 * 2015 KBB.com 10 Best Sedans Under $25,000 * 2015 KBB.com Brand Image Awards Reviews: * If you're seeking a compact sedan or hatchback with fun driving manners, great fuel economy, and class-above looks and features, the Mazda3 is an excellent choice. That Mazda's compact car starts under $18,000 and retains its value very well is icing on the cake. Source: KBB.com * In the world of compact cars the Mazda3 is the true driver's bread and butter. Available in 2 unique models including a 4-door sedan with up to an EPA-estimated 41 MPG Hwy and a 5-door hatchback with a spacious interior. From sporty wheels to its sleek clear-lens taillights, Mazda3 masterfully blends function with design. Heated side mirrors, unobtrusive rain-sensing windshield wipers and bright-tipped dual exhaust outlets are just some of the standard features that sit atop the stylish 18-inch alloy wheels on s Grand Touring. Mazda3's cabin was designed to excite before you even rev the engine, boasting a spacious interior; stylish, ergonomic seating and a dashboard full of available features including dual-zone automatic climate control and a one-touch power moonroof, Keyless Entry & Start System and Welcome Lighting System, heated front seats and an 6-way power adjustable driver's seat, 60/40 split fold-down rear seating. Mazda's SKYACTIV-G gasoline 2.0L engine produces efficient-yet-uncompromised performance, or for even more power choose the motorsports-proven 2.5L engine on 4-door and 5-door models. Both come available with 6-speed manual or 6-speed automatic transmission. Enjoy crisp, immersive sound delivered through an available 9-speaker Bose Centerpoint Surround Sound System with AudioPilot ambient noise compensation technology. An available infotainment system with navigation can also connect you to Pandora, Stitcher, and Aha internet radio. With the available Bluetooth hands-free system with voice command, making and receiving calls is as easy as pushing a button and saying hello. You can also receive and reply to text messages with 20 preloaded messages with phones that can integrate with this feature. Source: The Manufacturer Summary * Precise handling; very good fuel economy; quick acceleration; top crash safety scores; refined interior with intuitive controls; available hatchback body style; many advanced features are available. Source: Edmunds Midlands Mazda is proud to be your number 1 source to buy Mazdas in Columbia, Lexington, Irmo, West Columbia, Lugoff, Camden, Sumter, Newberry, and Chapin South Carolina. Our Obsession is Your Satisfaction. 29/40 City/Highway MPG CARFAX One-Owner. Clean CARFAX. soul red metallic 2015 Mazda Mazda3 i Sport In order to offer the EXTREMELY LOW prices seen on this website we are very small staffed and work off of appointments. Please call or text (803) 917-1519 to schedule showing of a vehicle with an excellent sales consultant. Price indicated assumes eligibility - inclusion of one thousand dollar internet discount - reductions indicated in price, plus tax, tags and includes $589 closing fee. FWD 6-Speed Manual SKYACTIV®-G 2.0L 4-Cylinder DOHC 16V Odometer is 10550 miles below market average! Awards: * 2015 KBB.com 10 Best Sedans Under $25,000 * 2015 KBB.com 10 Tech-Savviest Cars Under $20,000 * 2015 KBB.com 10 Best Late-Model Used Cars Under $15,000 * 2015 KBB.com Brand Image Awards Reviews: * If you're seeking a compact sedan or hatchback with fun driving manners, great fuel economy, and class-above looks and features, the Mazda3 is an excellent choice. That Mazda's compact car starts under $18,000 and retains its value very well is icing on the cake. Source: KBB.com * In the world of compact cars the Mazda3 is the true driver's bread and butter. Available in 2 unique models including a 4-door sedan with up to an EPA-estimated 41 MPG Hwy and a 5-door hatchback with a spacious interior. From sporty wheels to its sleek clear-lens taillights, Mazda3 masterfully blends function with design. Heated side mirrors, unobtrusive rain-sensing windshield wipers and bright-tipped dual exhaust outlets are just some of the standard features that sit atop the stylish 18-inch alloy wheels on s Grand Touring. Mazda3's cabin was designed to excite before you even rev the engine, boasting a spacious interior; stylish, ergonomic seating and a dashboard full of available features including dual-zone automatic climate control and a one-touch power moonroof, Keyless Entry & Start System and Welcome Lighting System, heated front seats and an 6-way power adjustable driver's seat, 60/40 split fold-down rear seating. Mazda's SKYACTIV-G gasoline 2.0L engine produces efficient-yet-uncompromised performance, or for even more power choose the motorsports-proven 2.5L engine on 4-door and 5-door models. Both come available with 6-speed manual or 6-speed automatic transmission. Enjoy crisp, immersive sound delivered through an available 9-speaker Bose Centerpoint Surround Sound System with AudioPilot ambient noise compensation technology. An available infotainment system with navigation can also connect you to Pandora, Stitcher, and Aha internet radio. With the available Bluetooth hands-free system with voice command, making and receiving calls is as easy as pushing a button and saying hello. You can also receive and reply to text messages with 20 preloaded messages with phones that can integrate with this feature. Source: The Manufacturer Summary * Precise handling; very good fuel economy; quick acceleration; top crash safety scores; refined interior with intuitive controls; available hatchback body style; many advanced features are available. Source: Edmunds Midlands Mazda is proud to be your number 1 source to buy Mazdas in Columbia, Lexington, Irmo, West Columbia, Lugoff, Camden, Sumter, Newberry, and Chapin South Carolina. Our Obsession is Your Satisfaction. 28/37 City/Highway MPG Clean CARFAX. soul red metallic 2018 Mazda Mazda3 Sport In order to offer the EXTREMELY LOW prices seen on this website we are very small staffed and work off of appointments. Please call or text (803) 917-1519 to schedule showing of a vehicle with an excellent sales consultant. Price indicated assumes eligibility - inclusion of one thousand dollar internet discount - reductions indicated in price, plus tax, tags and includes $589 closing fee. FWD 6-Speed Automatic SKYACTIV®-G 2.0L 4-Cylinder DOHC 16V Midlands Mazda is proud to be your number 1 source to buy Mazdas in Columbia, Lexington, Irmo, West Columbia, Lugoff, Camden, Sumter, Newberry, and Chapin South Carolina. Our Obsession is Your Satisfaction. 28/37 City/Highway MPG CARFAX One-Owner. Clean CARFAX. Jet Black 2018 Mazda Mazda3 Sport In order to offer the EXTREMELY LOW prices seen on this website we are very small staffed and work off of appointments. Please call or text (803) 917-1519 to schedule showing of a vehicle with an excellent sales consultant. Price indicated assumes eligibility - inclusion of one thousand dollar internet discount - reductions indicated in price, plus tax, tags and includes $589 closing fee. FWD 6-Speed Automatic SKYACTIV®-G 2.0L 4-Cylinder DOHC 16V Odometer is 7837 miles below market average! Midlands Mazda is proud to be your number 1 source to buy Mazdas in Columbia, Lexington, Irmo, West Columbia, Lugoff, Camden, Sumter, Newberry, and Chapin South Carolina. Our Obsession is Your Satisfaction. 27/36 City/Highway MPG CARFAX One-Owner. Clean CARFAX. soul red metallic 2016 Mazda Miata Sport black Cloth. In order to offer the EXTREMELY LOW prices seen on this website we are very small staffed and work off of appointments. Please call or text (803) 917-1519 to schedule showing of a vehicle with an excellent sales consultant. Price indicated assumes eligibility - inclusion of one thousand dollar internet discount - reductions indicated in price, plus tax, tags and includes $589 closing fee. RWD 6-Speed Automatic Sport 2.0L I4 DOHC VVT 16V Recent Arrival! Odometer is 1841 miles below market average! Midlands Mazda is proud to be your number 1 source to buy Mazdas in Columbia, Lexington, Irmo, West Columbia, Lugoff, Camden, Sumter, Newberry, and Chapin South Carolina. Our Obsession is Your Satisfaction. 26/35 City/Highway MPG CARFAX One-Owner. Clean CARFAX. soul red metallic 2017 Mazda Mazda6 Sport In order to offer the EXTREMELY LOW prices seen on this website we are very small staffed and work off of appointments. Please call or text (803) 917-1519 to schedule showing of a vehicle with an excellent sales consultant. Price indicated assumes eligibility - inclusion of one thousand dollar internet discount - reductions indicated in price, plus tax, tags and includes $589 closing fee. FWD 6-Speed Automatic SKYACTIV®-G 2.5L I4 DOHC 16V Odometer is 8973 miles below market average! Awards: * 2017 IIHS Top Safety Pick+ * 2017 KBB.com Brand Image Awards Reviews: * Very responsive engine and transmission make it feel faster than most family sedans; fuel economy is competitive with any car in the class; reassuring handling that makes it entertaining to drive; one of the best technology interfaces in the class; graceful styling inside and out. Source: Edmunds Midlands Mazda is proud to be your number 1 source to buy Mazdas in Columbia, Lexington, Irmo, West Columbia, Lugoff, Camden, Sumter, Newberry, and Chapin South Carolina. Our Obsession is Your Satisfaction. CARFAX One-Owner. Clean CARFAX. Snowflake White Pearl 2017 Mazda Mazda3 Grand Touring In order to offer the EXTREMELY LOW prices seen on this website we are very small staffed and work off of appointments. Please call or text (803) 917-1519 to schedule showing of a vehicle with an excellent sales consultant. Price indicated assumes eligibility - inclusion of one thousand dollar internet discount - reductions indicated in price, plus tax, tags and includes $589 closing fee. FWD 6-Speed Automatic 2.5L I4 Odometer is 9857 miles below market average! Awards: * 2017 KBB.com Brand Image Awards Reviews: * Precise handling when going around turns; many advanced and desirable features are available; quick acceleration; top crash test scores; refined interior with intuitive controls Source: Edmunds Midlands Mazda is proud to be your number 1 source to buy Mazdas in Columbia, Lexington, Irmo, West Columbia, Lugoff, Camden, Sumter, Newberry, and Chapin South Carolina. Our Obsession is Your Satisfaction. Clean CARFAX. Jet Black 2017 Mazda Mazda3 Grand Touring In order to offer the EXTREMELY LOW prices seen on this website we are very small staffed and work off of appointments. Please call or text (803) 917-1519 to schedule showing of a vehicle with an excellent sales consultant. Price indicated assumes eligibility - inclusion of one thousand dollar internet discount - reductions indicated in price, plus tax, tags and includes $589 closing fee. FWD 6-Speed Automatic 2.5L I4 Odometer is 22891 miles below market average! Awards: * 2017 KBB.com Brand Image Awards Reviews: * Precise handling when going around turns; many advanced and desirable features are available; quick acceleration; top crash test scores; refined interior with intuitive controls Source: Edmunds Midlands Mazda is proud to be your number 1 source to buy Mazdas in Columbia, Lexington, Irmo, West Columbia, Lugoff, Camden, Sumter, Newberry, and Chapin South Carolina. Our Obsession is Your Satisfaction. 27/36 City/Highway MPG CARFAX One-Owner. soul red metallic 2016 Mazda Miata Grand Touring Black Leather. In order to offer the EXTREMELY LOW prices seen on this website we are very small staffed and work off of appointments. Please call or text (803) 917-1519 to schedule showing of a vehicle with an excellent sales consultant. Price indicated assumes eligibility - inclusion of one thousand dollar internet discount - reductions indicated in price, plus tax, tags and includes $589 closing fee. RWD 6-Speed Automatic Sport 2.0L I4 DOHC VVT 16V Odometer is 8110 miles below market average! Midlands Mazda is proud to be your number 1 source to buy Mazdas in Columbia, Lexington, Irmo, West Columbia, Lugoff, Camden, Sumter, Newberry, and Chapin South Carolina. Our Obsession is Your Satisfaction. 25/31 City/Highway MPG Clean CARFAX. Eternal Blue 2018 Mazda CX-5 Sport In order to offer the EXTREMELY LOW prices seen on this website we are very small staffed and work off of appointments. Please call or text (803) 917-1519 to schedule showing of a vehicle with an excellent sales consultant. Price indicated assumes eligibility - inclusion of one thousand dollar internet discount - reductions indicated in price, plus tax, tags and includes $589 closing fee. FWD 6-Speed Automatic SKYACTIV® 2.5L 4-Cylinder DOHC 16V Midlands Mazda is proud to be your number 1 source to buy Mazdas in Columbia, Lexington, Irmo, West Columbia, Lugoff, Camden, Sumter, Newberry, and Chapin South Carolina. Our Obsession is Your Satisfaction. Clean CARFAX. Sonic Silver Metallic 2017 Mazda Mazda6 Grand Touring In order to offer the EXTREMELY LOW prices seen on this website we are very small staffed and work off of appointments. Please call or text (803) 917-1519 to schedule showing of a vehicle with an excellent sales consultant. Price indicated assumes eligibility - inclusion of one thousand dollar internet discount - reductions indicated in price, plus tax, tags and includes $589 closing fee. FWD 6-Speed Automatic 2.5L 4-Cylinder DOHC Odometer is 6428 miles below market average! Awards: * 2017 KBB.com Brand Image Awards Reviews: * Very responsive engine and transmission make it feel faster than most family sedans; fuel economy is competitive with any car in the class; reassuring handling that makes it entertaining to drive; one of the best technology interfaces in the class; graceful styling inside and out. Source: Edmunds Midlands Mazda is proud to be your number 1 source to buy Mazdas in Columbia, Lexington, Irmo, West Columbia, Lugoff, Camden, Sumter, Newberry, and Chapin South Carolina. Our Obsession is Your Satisfaction. 23/31 City/Highway MPG Clean CARFAX. Snowflake White Pearl 2018 Mazda Mazda6 Grand Touring In order to offer the EXTREMELY LOW prices seen on this website we are very small staffed and work off of appointments. Please call or text (803) 917-1519 to schedule showing of a vehicle with an excellent sales consultant. Price indicated assumes eligibility - inclusion of one thousand dollar internet discount - reductions indicated in price, plus tax, tags and includes $589 closing fee. FWD 6-Speed Automatic SKYACTIV®-G 2.5L I4 DOHC 16V Odometer is 4904 miles below market average! Midlands Mazda is proud to be your number 1 source to buy Mazdas in Columbia, Lexington, Irmo, West Columbia, Lugoff, Camden, Sumter, Newberry, and Chapin South Carolina. Our Obsession is Your Satisfaction. Blue Reflex Mica 2017 Mazda Mazda6 Grand Touring In order to offer the EXTREMELY LOW prices seen on this website we are very small staffed and work off of appointments. Please call or text (803) 917-1519 to schedule showing of a vehicle with an excellent sales consultant. Price indicated assumes eligibility - inclusion of one thousand dollar internet discount - reductions indicated in price, plus tax, tags and includes $589 closing fee. FWD 6-Speed Automatic 2.5L 4-Cylinder DOHC Odometer is 8605 miles below market average! Awards: * 2017 KBB.com Brand Image Awards Reviews: * Very responsive engine and transmission make it feel faster than most family sedans; fuel economy is competitive with any car in the class; reassuring handling that makes it entertaining to drive; one of the best technology interfaces in the class; graceful styling inside and out. Source: Edmunds Midlands Mazda is proud to be your number 1 source to buy Mazdas in Columbia, Lexington, Irmo, West Columbia, Lugoff, Camden, Sumter, Newberry, and Chapin South Carolina. Our Obsession is Your Satisfaction. Clean CARFAX. machine gray metallic 2017 Mazda Mazda6 Grand Touring In order to offer the EXTREMELY LOW prices seen on this website we are very small staffed and work off of appointments. Please call or text (803) 917-1519 to schedule showing of a vehicle with an excellent sales consultant. Price indicated assumes eligibility - inclusion of one thousand dollar internet discount - reductions indicated in price, plus tax, tags and includes $589 closing fee. FWD 6-Speed Automatic 2.5L 4-Cylinder DOHC Odometer is 16077 miles below market average! Awards: * 2017 KBB.com Brand Image Awards Reviews: * Very responsive engine and transmission make it feel faster than most family sedans; fuel economy is competitive with any car in the class; reassuring handling that makes it entertaining to drive; one of the best technology interfaces in the class; graceful styling inside and out. Source: Edmunds Midlands Mazda is proud to be your number 1 source to buy Mazdas in Columbia, Lexington, Irmo, West Columbia, Lugoff, Camden, Sumter, Newberry, and Chapin South Carolina. Our Obsession is Your Satisfaction. 25/36 City/Highway MPG Alabaster Silver Metallic 2011 Honda Civic LX Beige Cloth. In order to offer the EXTREMELY LOW prices seen on this website we are very small staffed and work off of appointments. Please call or text (803) 917-1519 to schedule showing of a vehicle with an excellent sales consultant. Price indicated assumes eligibility - inclusion of one thousand dollar internet discount - reductions indicated in price, plus tax, tags and includes $589 closing fee. FWD Compact 5-Speed Automatic 1.8L I4 SOHC 16V i-VTEC Awards: * JD Power Initial Quality Study * 2011 KBB.com Brand Image Awards 2016 Kelley Blue Book Brand Image Awards are based on the Brand Watch(tm) study from Kelley Blue Book Market Intelligence. Award calculated among non-luxury shoppers. For more information, visit www.kbb.com. Kelley Blue Book is a registered trademark of Kelley Blue Book Co., Inc. Reviews: * If you appreciate world-class refinement (along with impressive mileage), and you're looking to spend anywhere from $16,000 to $25,000 for a new car, your test-drive schedule might not continue past the Honda dealer. Source: KBB.com Midlands Mazda is proud to be your number 1 source to buy Mazdas in Columbia, Lexington, Irmo, West Columbia, Lugoff, Camden, Sumter, Newberry, and Chapin South Carolina. Our Obsession is Your Satisfaction. CARFAX One-Owner. Clean CARFAX. Our Obsession is your Satisfaction!!!!!!!!! Midlands Volkswagen is proud to be your number 1 source to buy a Pre-Owned Vehicle in South Carolina. Whatever your needs, Midlands Volkswagen has it. If you do not see what you are looking for, we can find it. Midlands Volkswagen has the vehicle that you need, and you can get it at a fair price. Contact us today. *Price indicated assumes eligibility – inclusion of one thousand dollar internet discount – one thousand dollar trade in assistance. CARFAX One-Owner. Clean CARFAX. Cosmic White Metallic 2012 Volvo C30 T5 ABS brakes, Electronic Stability Control, Heated door mirrors, Illuminated entry, Low tire pressure warning, Remote keyless entry, Traction control. In order to offer the EXTREMELY LOW prices seen on this website we are very small staffed and work off of appointments. Please call or text (803) 917-1519 to schedule showing of a vehicle with an excellent sales consultant. Price indicated assumes eligibility - inclusion of one thousand dollar internet discount - reductions indicated in price, plus tax, tags and includes $589 closing fee. FWD 5-Speed Automatic with Geartronic 2.5L 5-Cylinder Turbocharged Awards: * 2012 IIHS Top Safety Pick * 2012 KBB.com Total Cost of Ownership Awards Reviews: * Distinctive styling; firm yet compliant ride; supportive yet comfortable front seats; spirited turbocharged engine. Source: Edmunds * If you want a stylish, solid and quick compact hatch with a premium feel that stands apart from just about everything else on the road, the C30 is an appealing option. Source: KBB.com Midlands Mazda is proud to be your number 1 source to buy Mazdas in Columbia, Lexington, Irmo, West Columbia, Lugoff, Camden, Sumter, Newberry, and Chapin South Carolina. Our Obsession is Your Satisfaction. 22/35 City/Highway MPG CARFAX One-Owner. Clean CARFAX. Black Granite Metallic 2015 Chevrolet Cruze LS In order to offer the EXTREMELY LOW prices seen on this website we are very small staffed and work off of appointments. Please call or text (803) 917-1519 to schedule showing of a vehicle with an excellent sales consultant. Price indicated assumes eligibility - inclusion of one thousand dollar internet discount - reductions indicated in price, plus tax, tags and includes $589 closing fee. FWD 6-Speed Automatic Electronic with Overdrive ECOTEC 1.8L I4 SMPI DOHC VVT Recent Arrival! Awards: * 2015 KBB.com 10 Best UberX Candidates Reviews: * If you need small-car pricing and fuel-efficiency but you don't want to give up big-car comfort, check out the 5-passenger Chevrolet Cruze for 2015. Although it's categorized as a compact sedan, the Cruze's interior volume actually qualifies it as a midsize model. Source: KBB.com * Two satisfying high-efficiency engine choices; secure handling; handsome interior design; big trunk. Source: Edmunds * The Cruze gives you great fuel economy and a reasonable price, with a very stylish look to go with it. It has a strong stance and angled lines, with a split front grille, and headlights that wrap around from the front and end in a point above the fenders. On the inside the cabin is modern, roomy and comfortable. It doesn't feel like the compacts you might be used to and is refreshingly fun to drive. There are 6 different trims available for the Cruze, including the: LS, 1LT, Eco, 2LT, LTZ, and the Turbo Diesel. Standard for all are features such as Bluetooth calling and Touch Controls on the Steering Wheel. The Base Model LS comes with a 1.8L engine that gets 25MPG City and 36MPG hwy with the standard 6-speed manual, or 22MPG City and 35MPG hwy when you opt for the automatic. All models higher than the LS, but below the Diesel come with a peppy 1.4L Turbocharged Engine. The 1LT and 2LT give you your choice of a 6-speed manual with overdrive or an automatic. The Eco comes standard with a special 6-speed manual with triple overdrive, or an optional automatic. Fuel economy varies for these trims based on which you opt for, but the best performer hands down is the Eco with the Manual Transmission that gets an EPA estimated 28MPG City and 42MPG hwy. The top of the line model is the Diesel with a 2.0L engine that has 151hp and gets an EPA estimated 27MPG City and an amazing 46MPG hwy. Standard safety features on all models include Anti-lock brakes, Stabilitrak, Traction Control, and 10 Airbags. Upgrade to the LTZ trim and you get the added visibility of a Rear View Camera. With available Chevrolet MyLink all your apps are located on the 7-inch touchscreen and the available 4G LTE turns the Cruze into a mobile Wi-Fi hotspot. Source: The Manufacturer Summary Midlands Mazda is proud to be your number 1 source to buy Mazdas in Columbia, Lexington, Irmo, West Columbia, Lugoff, Camden, Sumter, Newberry, and Chapin South Carolina. Our Obsession is Your Satisfaction. CVT with Xtronic, charcoal Cloth. Clean CARFAX. CERTIFIED VOLKSWAGEN !!! 24 MONTH 24,000 MILE BUMPER TO BUMPER WARRANTY. 112 POINT INSPECTION. 24 HOUR ROADSIDE ASSISTANCE. CARFAX AND 3 MONTHS FREE SIRIUSXM. Our Obsession is your Satisfaction!!!!!!!!! Midlands Volkswagen is proud to be your number 1 source to buy a Certified Pre-Owned Volkswagen in South Carolina. Whatever your needs, Midlands Volkswagen has it. If you do not see what you are looking for, we can find it. Midlands Volkswagen has the vehicle that you need, and you can get it at a fair price. Contact us today. *Price requires financing with Volkswagen Credit. Price indicated assumes eligibility – inclusion of one thousand dollar internet discount – one thousand dollar trade in assistance. Once you’re ready to drive home in your next pre-owned Mazda vehicle, make your way from Lexington to our dealership for a tour and test drive. Not sure which model to get? Check out our comparisons like that between the Mazda3 and Honda Civic. Apply for financing in advance to streamline the process.